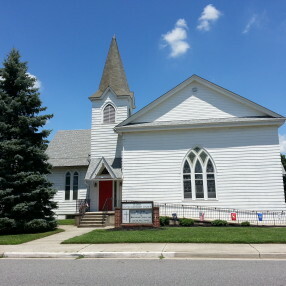 Hudson United Methodist Church is actively engaged in the community through a number of community projects and missions. We worship as a close church family and conduct a small Sunday school for children. The church conducts several ministries including children's service projects for local nursing homes, participation in a food bank, and a card ministry to express caring for others. 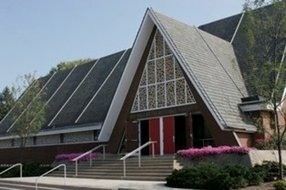 Hudson UMC holds Sunday services at 10:30 AM. We offer traditional services following the Revised Common Lectionary, although Pastor Bret occasionally presents a topical series. The hymns are straight from the United Methodist Hymnal, and we have a hymn-sing every third Sunday of the month featuring hymns from Tabernacle Hymns volume Five. Pedricktown is a small rural town in Oldmans Township, in northern Salem County. We are a close-knit multi-generational community with a great deal of history. Welcome! We've been where you are! Pastor Bret has often shared how he came from an atheistic background. We welcome all to Christ's table. Bret Walker is a Licensed Local Pastor, Certified Ministry Candidate (Elder) and student at the University of the Southwest, where he is majoring in Psychology with an emphasis in Religion. He recently graduated with honors from Gloucester County College, and is a member of Phi Theta Kappa honors society. 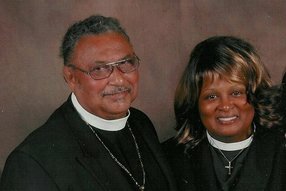 This is Pastor Walker’s first appointment as a pastor. 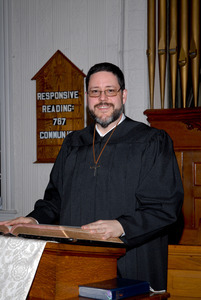 Previously he has served as a lay person in music ministry, men’s ministry, youth ministry, Sunday school and evangelism at Pitman United Methodist Church in Pitman, NJ, where he has been a member for many years. Pastor Walker also serves on the Pitman Grove Camp Meeting committee. Go here? Tell us why you love Hudson United Methodist Church. Visited? Tell us what a newcomer can expect. Enter your email address to receive an informative welcome email from Hudson United Methodist Church.